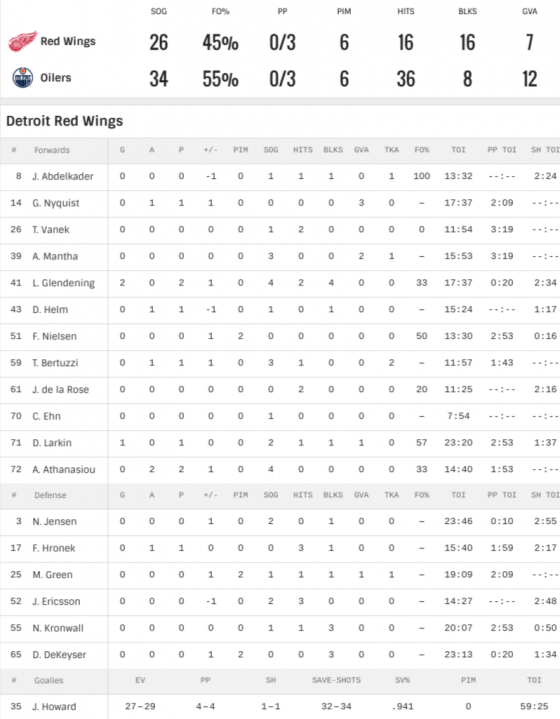 Wings win 3-2 and a good way to start the extended break. Key for me- Howard was much better than Koskinen. Next game is February 1st at home against Toronto.